What is Going to Happen to my Grandbabies? You are here: Home / Blog / What’s Going to Happen to my Grandbabies? A question frequently asked of family lawyers is “what are my rights as a grandparent”? Over the years the answer to this question has changed. Until 2000, the State of Texas frequently granted grandparent access when they could show that visitation was in the child’s best interest. In the year 2000, the United States Supreme Court issued an opinion affecting grandparent rights in Troxel vs Granville, 539 U.S. 57 (2000). In the Troxel case, the United States Supreme Court struck down a Washington law that allowed a third party to petition for visitation rights based on a finding that there was a fundamental constitutional right for a parent to direct the upbringing of a child and that a third party should not be able to petition a court for an order for visitation over the objections of a parent. 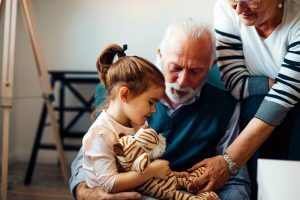 The Troxel decision had the effect of invalidating the current Texas statutes that presumably allowed grandparent access if a requesting party could prove that it was in the child’s best interests. 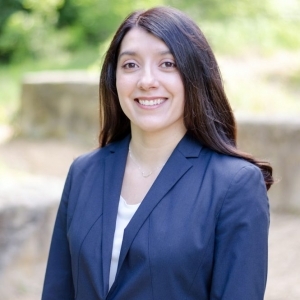 However, the Supreme Court noted that a third party could still request access and visitation, but the requesting party had both a higher burden of proof and had to demonstrate some type of harm to the child. Based on Troxel, the Texas Legislature amended the Texas Family Code to change the standards so that grandparent access became much more difficult for a court to order. If a grandparent wishes court ordered access to a grandchild, the grandparent must file a suit against the parents and allege in an affidavit specific facts how denying the grandparent possession or access will significantly impair the child’s physical health or emotional well-being. Not only must the court make the aforementioned findings, but the court must also find that the grandparent has overcome the presumption that a the parent acts in the best interests of the child by proving that denial of possession of or access to the child would significantly impair the child’s physical health or emotion well-being. Finally, not all grandparents may even request access. The first requirement is that both parents cannot have had their parental rights terminated by a court. In addition, the grandparent’s child(the parent of the grandchild) must be incarcerated, found to be incompetent, be deceased, or not have actual or court-ordered access to their child. As you can see, it is a difficult task to obtain court-ordered access to a grandchild since the Troxel decision. Although difficult, the courts do award access when the conditions set forth above have been met. The chances of success are dependent on the facts in the case. If you have a question whether you might qualify for grandparent access, you should discuss your case with an experienced family law attorney.